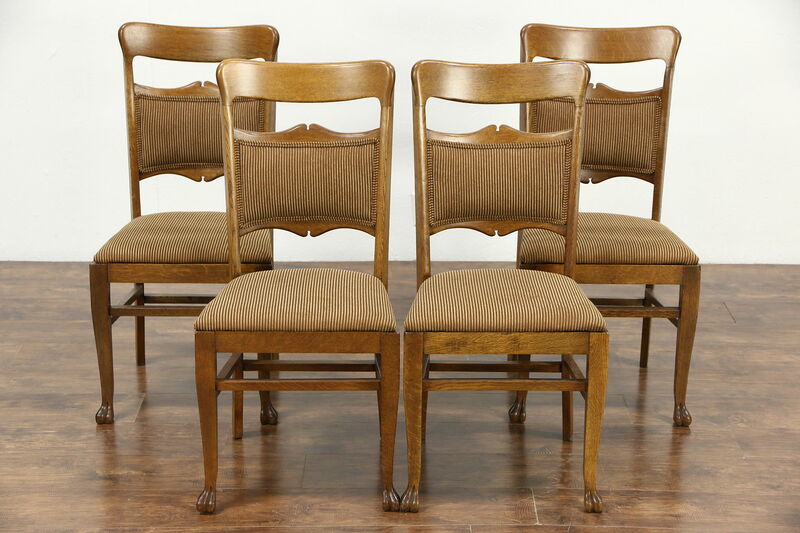 A set of four dining or game table chairs were carved of solid quarter sawn oak about 1900. Reglued to serve another generation, the finish is also restored on this American made antique furniture. Paw feet and gentle curves are beautiful on this comfortable set. Upholstery is new. Measurements are 19" wide, 21" deep, 37" tall and seats are 19" high and 16" deep. Please view 17 photos at full screen size for best detail. Related items in photos are sold separately.